Burley E. Scissell, 90, passed away March 21, 2019. He was born in Osceola, Arkansas on October 27, 1928 to the late Jack and Florence Scissell. Burley was an avid gardener. He was also known as a great woodworker and mechanic. He enjoyed hunting and fishing in his younger years. For fun, he loved shooting snakes off bridges in Mississippi County. Burley was a great father, grandfather, great-grandfather, and father-in-law. He will be missed by all who knew and loved him. Burley is survived by four sons; Andy Scissell (Lisa), Burley Glenn Scissell Sr. (Betty), Mitchell Scissell, and Travis Scissell (Megan), four daughters; Karin Scissell, Phyllis Lloyd, Patty Smith (Jerry), Leeza Phillips (Roger), fifteen grandchildren; Jessica Ann Brusoe, Lori Allen, Dondie Allen, Andrew Allen, Katie Allen, Lindsey Erp, John Lloyd Jr., Paige Smith, Natalie Rogers, Elizabeth Skinner, Burley Glenn Scissell Jr., Dana Shroyer, Sydney Scissell, Laura Beth Whited, and Rachel Phillips, and 28 great-grandchildren. In addition to his parents he is preceded in death by wife; Wanda Jean Scissell, one daughter; Alie Scissell, one brother; Wilburn Fortner, one sister; Christine Hyatt, and one daughter-in-law; Beverly Scissell. Visitation will be Monday, March 25th from 6:00-8:00 pm at Searcy McEuen Funeral Home. 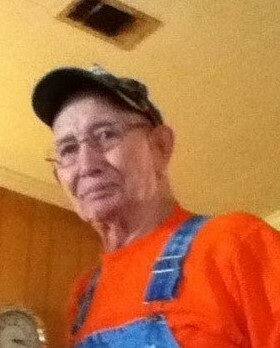 Graveside service will be Tuesday, March 26th at 11:00 am at Gum Springs Cemetery.